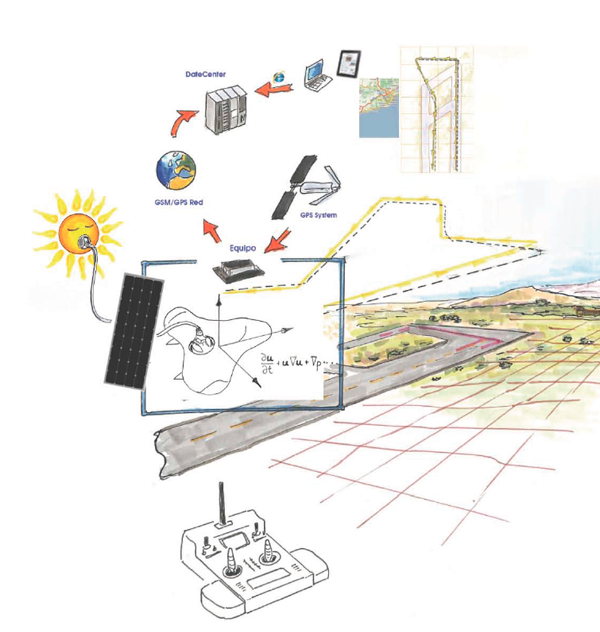 Hybridization of the physical and digital world consisting of the creation of a drone powered by solar energy with a GPS tracking and control system to test a new type of mathematical modeling of trajectories using the Euler and Navier-Stokes equations and their application to advanced robotics. A system of last generation solar panels to achieve the longest flight without recharging. If you are a Crowdfunding platform, offering your services to shelter our projects under the umbrella of your portal, giving us lodging. If you are a software company, we offer a theory that allows you to calculate the exact solutions of the equations of fluid mechanics, which is useful in most practical situations; this facilitates us to implement an algorithm that fits perfectly to develop a fluid simulation software in real time without consuming large memory resources. Fluid simulation software without the need for a wind tunnel. If you are a technology company and want to participate in any of the European project programs, such as Horizon 2020, you can contact us explaining your idea of collaboration or participation. IT IS ADDRESSED INNOVATIVE FROM THE EQUATIONS OF EULER AND NAVIER-STOKES. IN LABORATORY OF I + D: Program with the final characteristics of the apparatus, and physical-mathematical model. 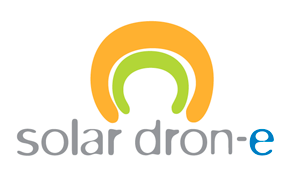 IN SOFTWARE LABORATORY: Device embedded in the Solar Bank of the Solar Dron-e. The final assembly of the device allows the systems to be integrated and configured. Routes established in the flight plan. GPS transmits through a GSM system to a server all the data referring to the flight: position, heading, speed and altitude. The information collected by the device can be used to produce changes in the displacement of the flight conditions of the aircraft itself. The information is represented on a digital cartographic map through a web system via the internet. OUTDOOR TESTS: In homologated flight field. a) PRINCIPLE OF THE KNOWLEDGE CHAIN: The determination of trajectories of bodies in fluids and movement of fluids is the basis of scientific, technological or industrial research. AUTOMATION OF FLIGHTS OF NON-CREATED AIRCRAFT. AERIAL COMPANIES; SAVINGS ON FUEL CONSUMPTION. GREATER SECURITY IN CONTROL SYSTEMS. GPS AND SATELLITE COMMUNICATION FOR NAVIGATION MONITORING AND CONTROL: INCREASE IN PRECISION. LIGHTER BATTERIES WITH GREATER CAPACITY AND DURATION.